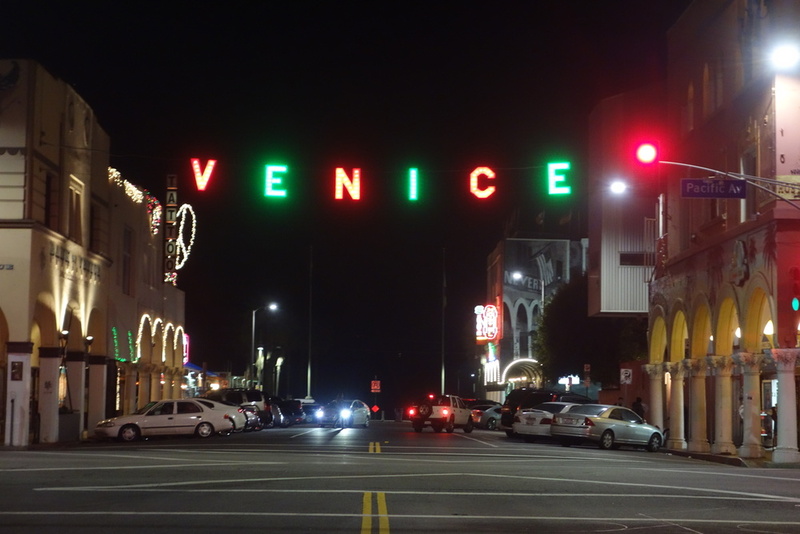 Happy First Friday of December, Venice. Not that we need to tell you, but your holiday schedule is packed, and this weekend is brimming with local festivities you won't want to miss. We find that the best way to take it all in is with a side of spiked cider and cookies, which by the way, are always warm and waiting for you at the Lincoln & Rose Pop-Up, so if you need a breather from all the merriment, stop in and say hello. We're there every day from 11 a.m. to 7 p.m. We'll get in to more pop-up news in a moment, but first ... the V E N I C E sign lighting. 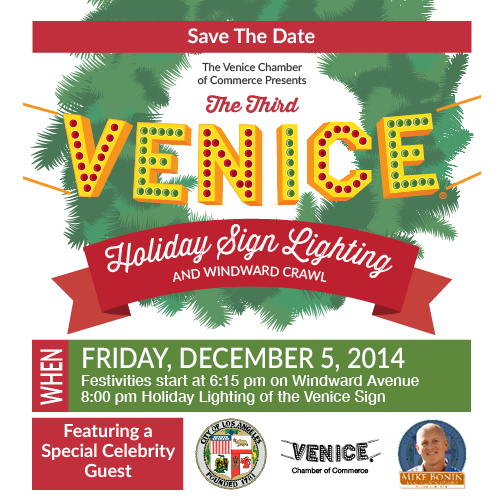 She's lighting up tonight in holiday red and green at the third annual Venice Holiday Sign Lighting ceremony. The actual lighting is at 6:15, but the festivities will carry on through the evening with local drink specials and other festivities at neighboring bars and businesses. If you're headed there tonight – and we hope to see you there – bring an unwrapped toy with you. There will be several booths where you can drop one off for the Great Venice Toy Drive and the Muscle Beach Toy Drive. If you can't make the lighting ceremony tonight, but would still like to contribute to the toy drive, bring one to the Lincoln & Rose Pop-Up. (We're at 315 Lincoln Blvd., at the corner of Rose, next to Chinatown Express.) Donate a toy, and we'll treat you to 10% off your purchase. It's First Friday, and a special one at that, because it's also the Abbot Kinney Stroll, which goes from 5 to 9 p.m. 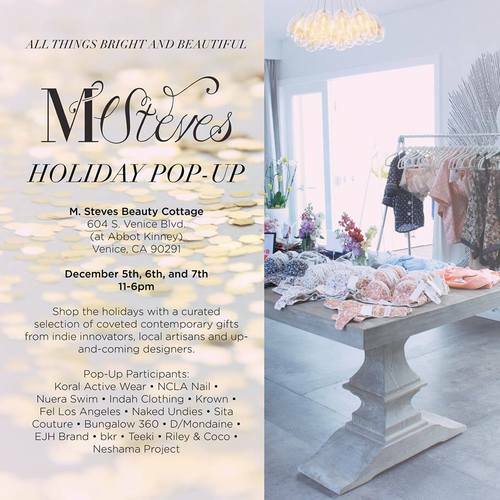 There will be food trucks, carolers and several happenings within the various Abbot Kinney shops. Then on Sunday, it's Family Fun Day at the Brig. 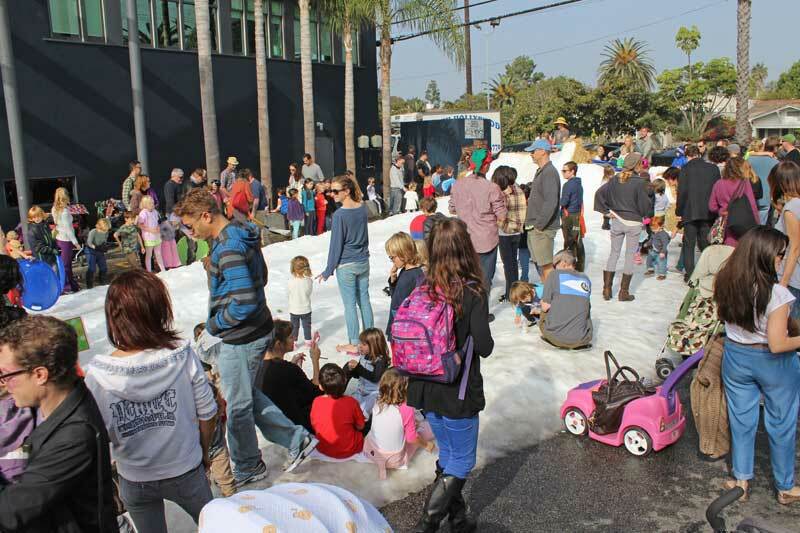 The side lot will be turned into a winter wonderland with snow sledding, crafts and SANTA!! The family fun runs from 11 a.m. to 5 p.m. Santa will be there until 2 p.m.
We're all about a party and we're all about supporting local, so when these two worlds come together, everything sparkles. 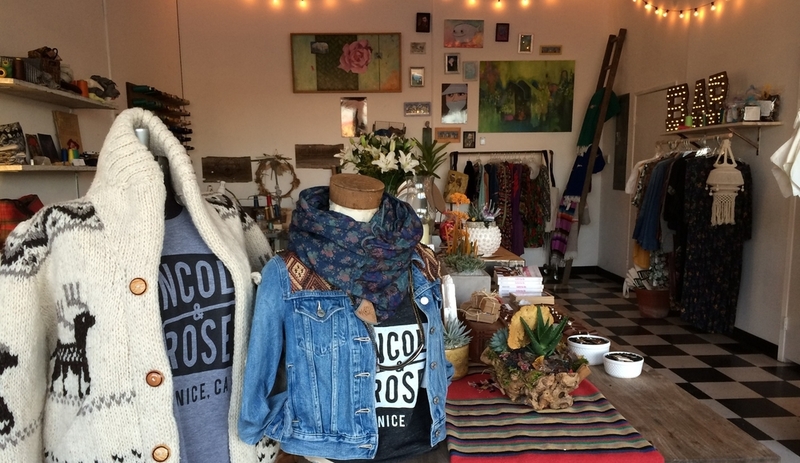 At the Lincoln & Rose Pop-Up, we've been hosting ongoing "Meet The Maker" parties as a way for you to actually hang out and get to know the incredible artists who make the goods we feature in the shop. On Saturday, we're opening a little early for a special, albeit bittersweet, event. Jacki Carr will be hosting her final "Pop-Up Goals" event from 10-11am in our shop. Join us as we sip hot cocoa, "craft" goals for the new year, and shop the goods made by 30+ Venice artists who took a chance to make their passion projects a reality. Also, stay tuned for upcoming L&R Pop-Up Parties here. 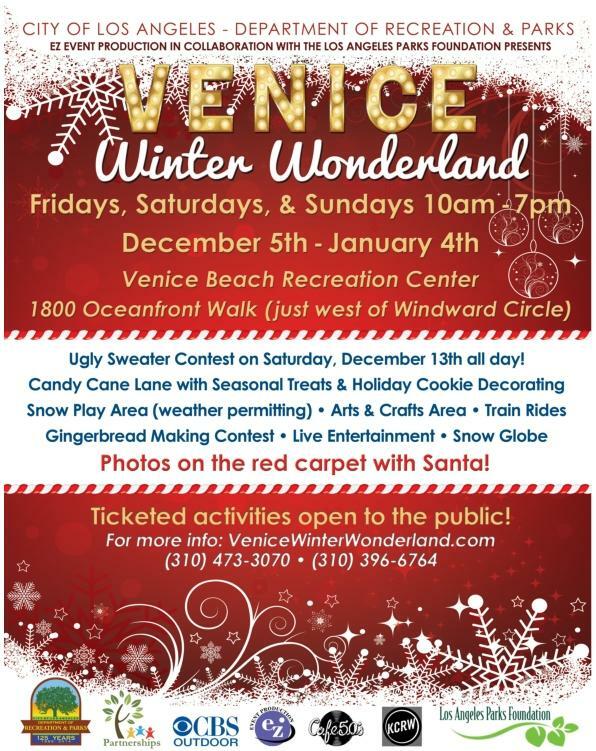 Now through January 4, the Venice Recreation Center is hosting ongoing holiday events every weekend. Visit venicewinterwonderland.com for details. While you're at the beach, check out the new murals at the Venice Art Walls. See our gallery here. An L.A. native and lifestyle writer who’s covered the best of what’s happening in cities across the country, Nicole now covers the best of what’s happening at home in Venice. Created with her husband Jeremy, Lincoln & Rose is named after the main intersection in Venice close to where they live with their two lucky black cats and one white dog named Indio Blue.